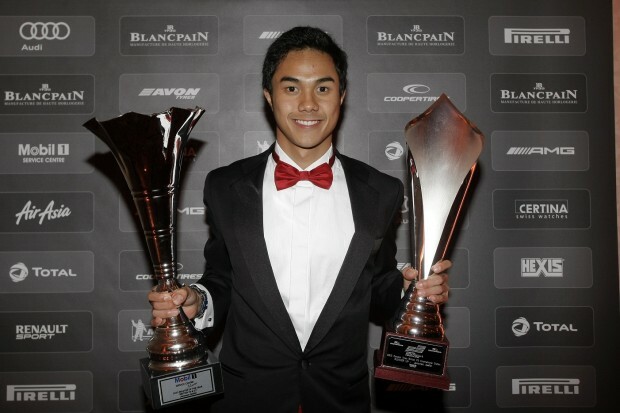 Jazeman Jaafar, British F3 Vice-Champion reviews his 2012 season and looks forward to the new challenges which await him in 2013. Jaafar enjoyed a strong, very successful third season in the British F3 International Series, and was a front-runner right from the first race of the championship through to the finale. Amassing a creditable 306 points, the record books will show three wins, 15 podiums and 21 top five finishes for Jaafar from the 29 races which were run in the British F3 championship this year. After three years of racing in British F3, where I’ve improved each season, from finishing 12th in the championship in my first year, sixth in the second season and then runner-up this year, it’s definitely time to move onwards and upwards. Exactly where this will be is not confirmed yet, but I’m expecting to announce my plans very soon. So stay tuned! Whichever series I’ll be racing in it will be a step up from British F3, which means a new learning curve, with a more powerful, more technical car, which will be very exciting, as well as giving me a whole new challenge. As I’ve matured in F3 I’ve grown more confident and comfortable in the racing environment, and now I’ll be a rookie again with all that this brings with it. As someone who just loves being in a race car, all I want now is for the European winter to be over as quickly as possible (I’ll never get used to the cold, ice, snow, sub-zero temperatures..) so that I can be on a track somewhere blowing away the cobwebs of the off-season and preparing for another year of racing. Roll on 2013!